Gold and silver spot prices opened lower this morning after nearly flat trading during the shortened holiday week. 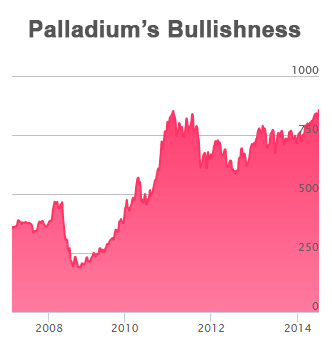 For the moment, most of the action in the metals markets is in palladium. The white metal closed Thursday at a 13-year high of $863/oz on news of renewed labor unrest in South Africa, a structural supply deficit, and strong automobile sales worldwide. And palladium opened higher this morning. Metals insider David H. Smith noted during a recent Money Metals podcast interview that silver and other precious metals may follow in palladium's footsteps. This week, metals investors will be watching a forum hosted by the World Gold Council in London to discuss options for “modernizing” the London Gold Fixing. The four member banks that set this key daily price face mounting public and regulatory scrutiny as evidence of manipulation mounts. These banks announced the end of the similar process for silver fixing in May. Recently, Barclays Bank admitted a staff trader rigged prices lower in order to prevent of the bank's clients from receiving a $3.9 million option payout. The bank paid a fine amounting to more than $40 million, and many market participants do not believe Barclays' claims the cheating was an isolated incident. The London Bullion Market Association is moving quickly to choose a replacement for the 117-year-old methodology used to set the benchmark silver price, after the banks responsible announced the Silver Fixing would end in August. Members will review proposals submitted by Bloomberg, the LME (London Metals Exchange), ETF Securities, Intercontinental Exchange, the commodities firms Autilla and Platts, and a joint proposal by the CME group and Thomson-Reuters. The proposals all represent a significant upgrade -- including more transparency, broader participation, and greater accountability. The new fix price will be based on real-time trades reported by electronic exchanges around the world, including a much wider universe of buyers and sellers. 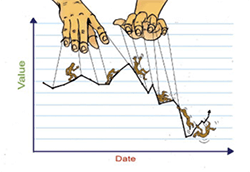 This is welcome news to participants whose suspicions about price manipulation by the small group of banks responsible for the precious metals fixing turned to certainty when a Barclays trader recently got caught red-handed. The direction chosen by the LBMA may provide clues as to what investors can expect when it comes to changes in gold fixing -- an even more important and widely used benchmark. German central bankers last year yielded to public pressure and announced they would bring gold held in New York and London home to Deutschland. The program to repatriate gold reserves was heavily criticized for being agonizingly slow. Officials planned to move half of the bullion held by the Fed in New York over a 7-year period, and they could not even keep up with that slow pace. Now they have scrapped the program altogether, according to a Bloomberg article. The political bloc within Germany's coalition government that supported repatriation recently withdrew -- and the Bundesbank quickly reverted to the status quo. Officials now claim they have complete trust in the Fed and the liquidity advantages to holding reserves in international market centers. But skeptics point at the miniscule quantity of physical bullion returned during the year the program operated and wonder if the U.S. was simply incapable of coming up with the gold Germany wanted.